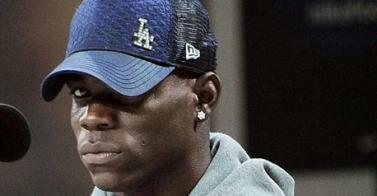 Manchester City and Italy striker Mario Balotelli needs surgery on a minor eye condition, first team coach David Platt said on Saturday. "Mario will have an operation in a few days," Platt told City's website (www.mcfc.co.uk) after the 3-1 home victory over Queens Park Rangers in the English Premier League. "It's not a major procedure and he should be back quite quickly. I've heard suggestions he will be out for a month but that's not true. "Hopefully it will correct a problem he's been having for some time and he can move on from there," added Platt.